Our special guest Paul Little of the DVC Rental Store gives his advice to DVC members who are thinking of renting out their points. For a DVC member, purchasing a Disney Vacation Club membership is a significant financial investment. Due to life circumstances, a member may find that there are some years when they cannot travel to Disney and need to try to recoup some of the funds that have have invested in that year’s allotment of points. Renting Disney Vacation Club points to a guest is a great way to accomplish this. The question is, what is the best way to rent DVC points? There are two paths that a DVC member might take to rent their unused points. They might choose to rent via a private rental with an individual or they may choose to work with a DVC rental broker to assist them in renting points. So which of these is the best path? There is no set answer. In the end, a member will want to weigh all of their options and decide what works best for them based on the type of DVC owner they are. Generally, there are two types of DVC owners when it comes to renting points. There is the DVC member who has the time and knowledge to invest in a Private Rental. They don’t mind the amount of work that it may take to seek out a guest to rent their points to. In fact, they may enjoy the planning and interaction with the guest that a private rental requires. Outside of renting to a family member or friend, this member feels comfortable with renting to a “stranger”. There is the DVC member that wants no part of advertising their points and working with a guest that they may not know. They want the ease and safety of turning this and other associated tasks over to an established DVC rental broker to assist them in renting their points. So which is right? Which is best for you? As mentioned earlier, there is no set answer. 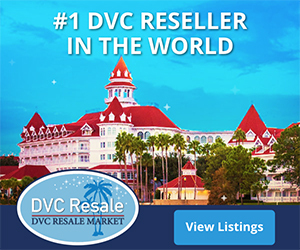 The best way to view a DVC point rental broker and their role is to compare them to other brokerages. Some homeowners are happy to sell their home without the help of a real estate agent. Others would never consider doing so. Some investors enjoy day-trading or handling their own investments. Others would not know where to start and decide it best to utilize a stock broker. Likewise, the owner of rental property might employ a property manager to oversee the rental of their property while others would take this role on themselves. The above tasks can vary from guest to guest. In our business, we find that there are guests that know exactly what they want. They know how renting DVC points work and are extremely “low maintenance”. On the flip-side, there are those guests that our Travel Advisors exchange in excess of 40 emails and phone calls with before they book. Even after the reservation has been made, some guests may be nervous about the process and may reach out to the member several times just to check and make sure everything is okay. They may even panic if the member’s response is delayed. A DVC member can expect to deal with guests that are shopping for the best price in a private rental. During the initial vetting, low-ball offers can be expected. Sometimes a renter may move on to another member if they find better pricing. You’ll want to consider how much time and energy that you want to invest in renting your points. Some members love being a “Travel Advisor” for a guest. Some don’t have the desire or in some cases the patience and prefer to pass these tasks along. All of the above is handled for the DVC member when renting their points through a DVC point broker. The DVC member does not have to advertise the availability of points. The DVC member does not have to work with a guest or guests to find availability for their stay. In fact, brokers typically have fewer points available to them than they need. This means you should be able to rent your points very quickly. The broker collects, holds safe, and distributes all funds. The broker truly acts as the guest’s travel advisor. The member never has direct contact with the guest. Renting DVC points, whether through a private rental or via a DVC point broker is a relatively safe transaction. With that being said, there are risks and problems that may arise. We see them in our business every day. A guest may desire to cancel their reservation and may choose to cancel their payment if made via PayPal (or credit card if the member allows in a private rental). This can put the DVC member’s points at risk. In the least, the member would then have to begin the process again with another guest in a private rental. A DVC Member’s full payout for their points is guaranteed when working with a DVC point broker. Even if there is a cancellation. In fact, we will work to re-rent the reservation and will pay the member for the extra effort to handle the administrative duties of switching the reservation to the new guest. A broker’s reputation is their most valuable asset. The two largest DVC rental services are accredited by the Better Business Bureau with an A+ rating. In addition, we have been named a Better Business Bureau “Ethics-Minded Business”. In order to maintain this sterling reputation, a DVC point broker will take the time and has the means to enforce the provisions of the rental agreement to protect the member and the guest. In a private rental, the renting DVC member will want to consider prior to renting, to what extent and by what means they would enforce the terms of the rental contract. I have heard the comment numerous times. “I will have to pay taxes if I rent my points through a broker”. In actuality, there is no difference regarding taxes whether a DVC member rents their points via a private rental or a via a DVC point rental broker. If you file a US tax return you are obligated to report any rental income whether you rent your points through the DVC Rental Store, another DVC rental service or through a private rental. This applies regardless of where the DVC point rental broker is located. You should be aware that income realized from the rental of your DVC points may be able to be reduced by expenses you paid relating to your DVC membership. For example, if you paid dues relating to the points you are renting, they will be deductible. Also, the original cost of the membership divided by the life of the membership should also be able to be deducted. These two items should reduce your taxable income significantly leaving just a small portion that is actually taxed. (This is not to be construed as tax advice, it is only an example. Please see IRS forms or an accountant/tax advisor for your individual situation and advice). To comply with the IRS, all DVC point rental brokers are required to issue 1099 Forms at year end. Any that do not are putting them and possible the renting member at risk. 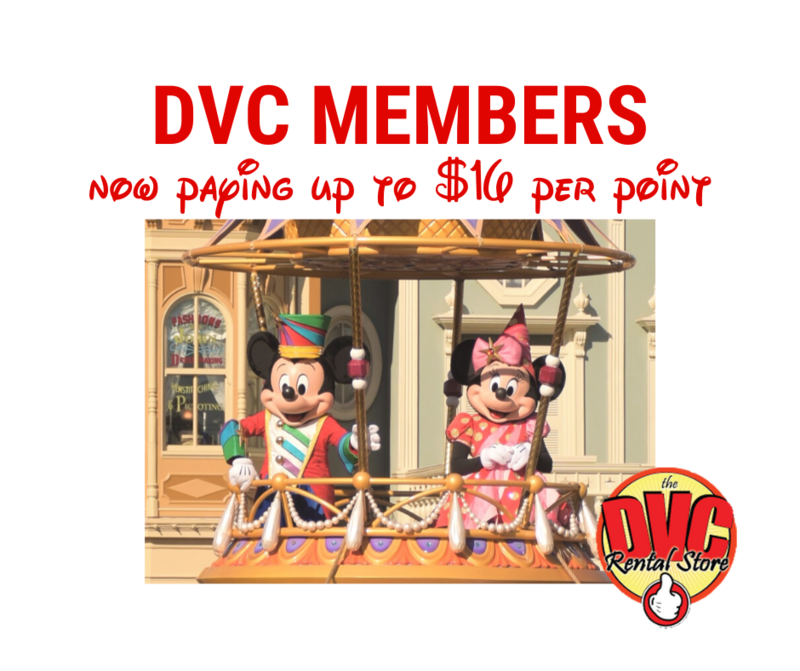 Generally, the DVC member can expect to receive more money for their points when renting their points via a private rental compared to renting through a DVC point rental broker. The lower payout from the broker allows for their compensation for the services rendered in assisting to rent the DVC member’s points. As mentioned earlier, the DVC member will want to consider the time, effort and safety concerns to decide if it offsets the difference in payout between a private rental and that the DVC point rental broker is paying. How should you rent your points? Only rent to a friend, family member or someone that you personally know if you decide that a private rental is a right fit for you. Do be sure to price your points appropriately. Many members will lower their price to someone they know as a gesture of kindness. This is perfectly fine as long as you are aware that you are giving money away. Only rent your points through one of the two largest Point Rental Brokers. They have been in business for years and have facilitated thousands of rentals involving millions of points. These years of experience provide them with the experience and knowledge to take the best care of you. There are other brokers out there, but many of these are 1-2 person operations that do not have a proven track record. Paul Little resides in his hometown of Wilson, North Carolina and is the owner of the DVC Rental Store, the largest DVC Point Rental Broker in the United States. Join the discussion of this post in our DVC discussion forum here. Or, leave a comment below. Read another article that describes the process of renting out your points.